National Cyber Security Awareness Month (NCSAM),conducted every October since 2001, is a national public awareness campaign to encourage everyone to protect their computers and our nation’s critical cyber infrastructure. We've got an incredible day planned!We’re so thrilled you’re interested in the Tween Girl Summit. The Summit Agenda is shaping up to be an incredible day - we hope you’ll join us in Washington DC! On October 10, 2009, hundreds of tween girls ages 9 to 14 from across the nation, as well as parents, experts, politicians and celebrities, will descend upon the historic Capital Hilton Hotel in Washington DC for the First Ever National Tween Girl Summit. Sue Scheff: Help STOMP OUT Bullying! NEW YORK September 28 2009: Love Our Children USA announced that NYC Mayor Michael Bloomberg is proclaiming October 5th BLUE SHIRT DAY to signify the importance of National Bullying Prevention Awareness Week, October 4th – 10th. Love Our Children USA created National Blue Shirt Day on Monday, October 5th, where thousands of kids and adults will wear blue shirts as they make their way to school or to the office as a grassroots national movement to STOMP Out Bullying. The BIG Book of Parenting Solutions is your recipe to parenting kids today. This tremendous book is similar to a cookbook of extra special, proven results for parenting! This book is not only for today's parent, it is a perfect baby shower gift, holiday gift, or simply to give to a parent today raising kids. They will be forever grateful. 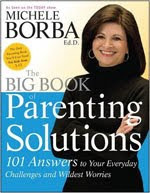 Here is just a sample of the hundreds of proven and simple tips from Dr. Borba’s latest book, The Big Book of Parenting Solutions. The best news is that these solutions work for all ages, take less than a minute to do, are based on proven research and when consistently used will reap lasting change. 1. Get attention: Lower your voice almost to a whisper and then say your request. Kids aren’t used to a quiet request. Is your teen suffering with headaches or even migraines? Adults are not the only ones that have to deal with stress, although teens have different reasons for their stress, it can cause health factors. Read more about teen headaches and some informational parenting tips. According to a new hospital study, when kids return to school, they’re more likely to suffer chronic headaches. In fact, the study reports that over a third of our kids get chronic headaches, which in a few cases may be a sign of a more serious medical problem or simply nothing to worry about. It was one of the worst headaches 16-year-old Monica has suffered. “It would fade, and then it would intensify, and the only thing that really made me feel better was I just went and sat in my room in the dark,” she says. Today part of parenting is learning about all the technology our kids are using. This is not an easy task and for many of us that didn't grow up in "cyberspace" it can be daunting. Recently I posted an article for parents, Social web tips for parents, today take the time to read, print out, and discuss these tips with your teen. Be nice online. Or at least treat people the way you’d want to be treated. People who are nasty and aggressive online are at greater risk of being bullied or harassed themselves. If someone's mean to you, try to ignore them - often that makes them stop. 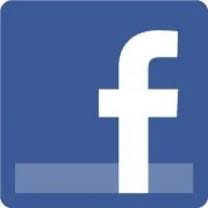 Use privacy tools to block them from viewing your full profile and contacting you. Sue Scheff: California Defamation Law Blog Praises Google Bomb book! California attorney, Adrianos Facchetti, recently reviewed Google Bomb and his comments are amazing. I am always grateful that others are finally hearing and understanding what is happening in cyberspace. It is a growing and expanding problem as small businesses are suffering, reputations tainted, and lives being ruined by a some vicious keystrokes and clicks of a mouse.Read the outstanding reviews click here. Last week I wrote about School Violence. This week Connect with Kids gives us parenting tips on Fight Clubs. Fighting just for the fun of it is back. 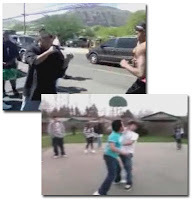 Fight clubs were popularized in the 1999 movie with the same name and now students at three different high schools in California have been arrested for taking part in these organized brawls that draw hundreds of spectators and often end up on the Internet. The fight club videos that some kids post on the Internet can be gruesome, brutal. “Some of them would stop when the guy just got knocked out cold, totally knocked out - unconscious, got knocked unconscious,” says 19-year-old David, who fought in and watched many fight clubs during his high school years. And yet, kids say taking part in fight clubs is… fun. If you are worried that your child may likely become involved in a gang or already has done so, there are a number of ways to decrease the likelihood and protect your son or daughter. The main reason that teenagers decide to join a gang is to find a place of belonging and worth, as well as for something to do. Oftentimes, teenagers are simply bored and are looking for an activity and social outlet, and gangs serve just that purpose. To combat this, keep your son or daughter involved in extracurricular activities. Sports teams can provide the comradeship that many teens seek in a positive, productive environment. Not only will the individual be in a safer environment but they will also learn teamwork and other valuable skills. Arts programs and student leadership activities can serve a similar purpose, while teaching incredibly pertinent skills or developing a hobby or skill. Sue Scheff: What If You Could Confront Your Fears So You Could Fully Play With Your Power? 15 year old Social Entrepreneur Danielle Herb has a dream to impact 1,000,000 ADD/ADHD and Autistic children. It is quickly becoming a reality and she is $50,000 away from opening a brand new facility in Ocala, Florida which will provide FREE horse therapy for the kids. Please watch this video to not only help Danielle, but the many lives she will change through her “Drop Your Reins Experience.” I urge everyone to visit http://www.dropyourreins.com/ and watch the 7 minute minute interview with Danielle Herb and consider helping her help her cause to continue to help thousands of ADD/ADHD/Autisic children! The growth and expansion of Danielle’s company has been inhibited by her current geographic location, which lacks accessibility. Violence among kids and teens has made headlines in South Florida this week. 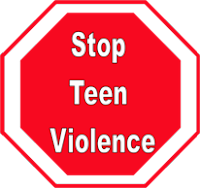 As parents, educators and others that work with today’s children, we need to take steps to help prevent these violent incidents. Communication is key, however difficult. It starts at home, what can you as a parent do to help? As a Parent Advocate, I have always encouraged parents to get to know who your teen’s friends are, who are they hanging out with? Not only in school but online! Where is your child surfing in space? Do you know the websites they are frequently visiting? It is time to be an educated parent which can lead to a safer teen. • Get to know your teen’s friends. Take an interest in them. Ask them about their siblings and their parents. Do they have the same hobbies/interests as your teen? 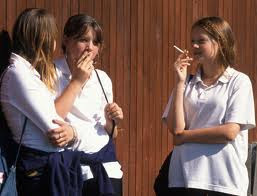 Teen gangsare a serious concern for parents. Whether you have a son or a daughter, if they belong to a gang or want to join one, it is time for you act immediately. Do you know who your teens friends are? Have you meet their parents? Do they have similar interests as your teen has? What do they do in their spare time? Take the time to be an educated parent! Most important, be proactive! The Office of Juvenile Justice has some good news for us and some bad: according to the latest numbers, from 2005 to 2007, the arrest rate for boys went down four percent, but for girls it’s up 10 percent. Experts say one reason is more girls are joining gangs. Today parents have to more to worry about than generations prior. The Internet is only part of what we need to take the time to learn about. Although years ago we thought of the Internet as an Educational tool (which it still is), however the ugliness has reared its' head with Internet Predators, Cyberbullies, Sexting, and much more. Be an educated parent! Here is a new website I found that has some great advice for parents, children and educators. 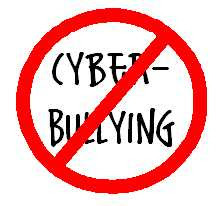 Source: Cyberbullying Children, parents, and educators all have a role in preventing cyberbullying. Don’t put a computer in your young child’s bedroom. Keep your computer is a busy area of your home. Set up e-mail and chat accounts with your children. Make sure that you know their screen names and passwords and that they don't include any personal information in their online profiles. A common mistake parents make when dealing with a suicidal teen is thinking that if they mention suicide they will be planting the idea in their teen’s brain. I recently reviewed a wonderful children's book, Boom... Boom... Boom....,by Marsha Jacobson. She is also a contributor to an educational website called My Child Feels. I recently read a great article she posted about emotional intelligence on her website. Be an educated parent and take time to learn more about children's feelings today. Does High Emotional Intelligence Predict Success? By Marsha Jacobson Emotional intelligence (EQ) is a person’s ability to identify, organize and act on their feelings and the feelings of others in a healthy and productive way. Does increasing an individual’s emotional intelligence correlate to a higher probability of long-term personal success and happiness? There are countless examples from recent times that show the correlation to be true. Let’s face it, there are so many parenting books. Why did you find need to write another? U.S. Transportation Secretary Ray LaHood today kicked off Child Passenger Safety Week as new research by the National Highway Traffic Safety Administration (NHTSA) showed that while there is a high use of child safety seats nationwide, a majority of children are not properly secured. This is an excellent and timely article by Connect with Kids, as school as opened. As a parent, you need to take the time to learn about the accessibility of prescription drugs, how the kids are using them and why! Why does your teen feel the need to escape reality? More than cocaine or methamphetamine or crack or heroin, prescription medicine is now the second biggest drug problem in America, second only to marijuana. In fact, according to the latest government sponsored research, one in 10 high school seniors has used narcotic painkillers and 90 percent of those kids aren’t getting them from their doctor. Sue Scheff: ADHD/Autism Program for Children - Learning through Horses! Drop Your Reins is having another tremendous event in Northern Florida! If you are able to attend, watch the transformation of kids through working with Danielle Herb and her gift with horses. What: A mini-equine hands on training course that will teach ADD/ADHD, Autistic and ‘learning different’ children how to raise and lower their energy levels on request. Who: This event is for kids and teens ages 5-17. It will be hosted by the Debbie Manser, Cheers Horse Ranch and taught by Instructors, Marianne St. Clair and Danielle Herb. Why: Mental + Emotional + Physical Empowerment = Success! It will be a fun-filled day for both you and your child. To ensure personal time with each of the participants, limited spots are available. 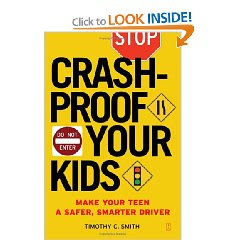 I am currently reading, "Crash-Proof Your Kids" and I am so impressed at all the information in one book! Of course, I cheated and moved forward in the book, and couldn't believe how much valuable tips, statistics and advice is listed. As soon as I am done, I will place this book on my Books and Website blog. For now, I think this is such a critical topic for parents, I am posting an article from the author from the website, Crash Proof Your Kids. As parents of teenagers we’re already painfully aware of their ability to change their personality overnight. Or sometimes in the course of half an hour, depending on the fluctuations of hormone flow and incredibly annoying things we do to trigger their bizarre behavioral changes. Well, recent research indicates that there really is a biological basis for this schizoid behavior. 1. Body Image Breakdown: When girls feel bad about their looks, more than 70%, ages 15-17,avoid normal daily activities such as attending school. o TIP: Your daughter’s body image starts with you! Show her each and every day how great you feel about your body and your looks. That will begin to set the tone in teaching your daughter about appearance and what it means to be proud of who she is – inside and out. By not insisting your daughter looks a certain way — whether it is what she wears, how her hair looks or how she has to behave in what she is wearing — you will build the foundation for how she sees her body and the importance of how she looks.